My thunder rolls beneath me, my lightning flares above. I dust the crust, and when I bust, all I touch will I shove. 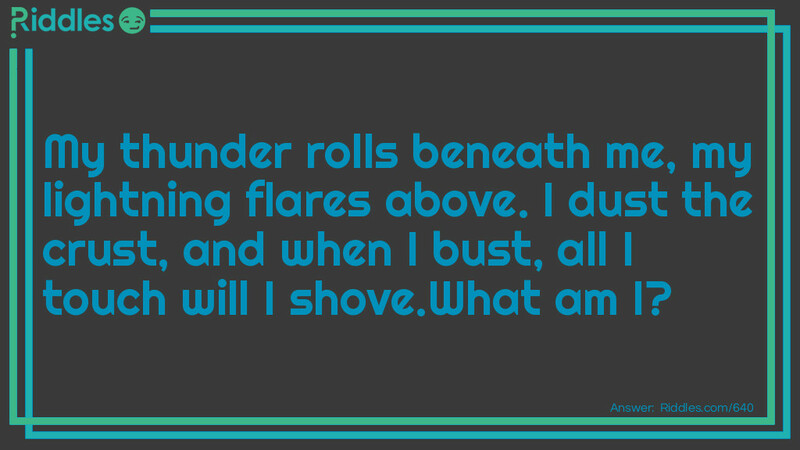 Lightning flaring above Riddle Meme with riddle and answer page link.